Momma Told Me: Stop touching your face, you're going to break out! At 9 I got my first training bra, at 11 I got my first period, by 13 I was an awkwardly smelling ball of oil and body odor wondering why on Earth anyone would ever look forward to becoming a teen. While I was an early bloomer, as Momma so delicately put it, this only seemed to mean that I endured the toughest of teenage trials at an early and amplified rate. Because Momma had endured torturous chiding and bullying over her complexion and advanced acne in high school, she was proactive about the first signs of trouble on my face. I recall thinking it was one of the least of my problems when a blackhead appeared- but I was much more on the nerdy side of the playground schematics than the image absorbed. Regardless, I was promptly put on a strong dosage of Tetracycline, an antibiotic that was, more often then, prescribed by dermatologists and general physicians for moderate to severe acne control. Despite sounding similar to fish food, this antibiotic is quite powerful- in fact, it was so powerful my oral surgeon could deduce I had taken it in moderation some 15 years prior, during a recent tooth extraction. I'll spare you the details but we'll say my jaw was not looking its whitest as a result. Sabrina, who recently turned 12, has been a fairly early developer herself. Not only does she already tower over her classmates, but she terrifies her father with her constantly developing bust-line. For a while we were all thankful she was also rapidly becoming classic tween 'smelly and awkward.' 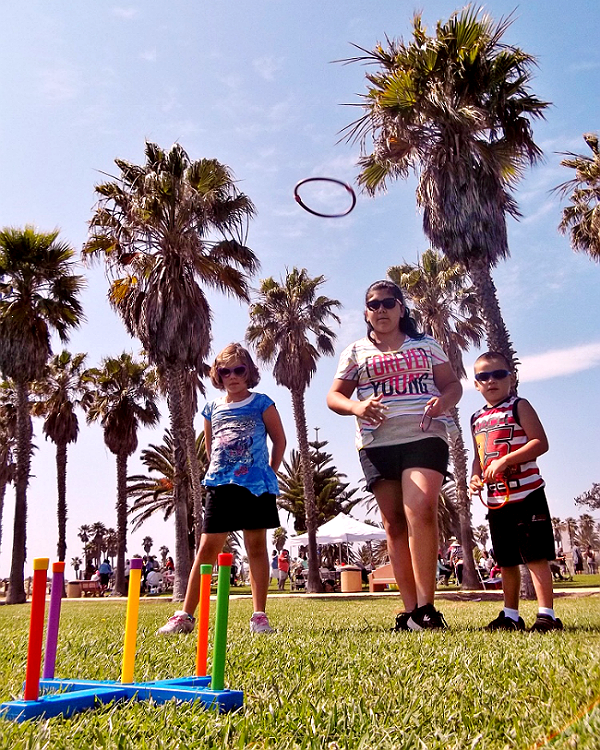 With a strong Hispanic background on her paternal side, Sabrina was also blessed with super thick hair that yields a greasy scalp and flares outbreaks of pimples across her complexion. For a while we were fine listening to her whine about the blackheads and zits- we'd simply tell her to touch her face less and keep her hair off her face. 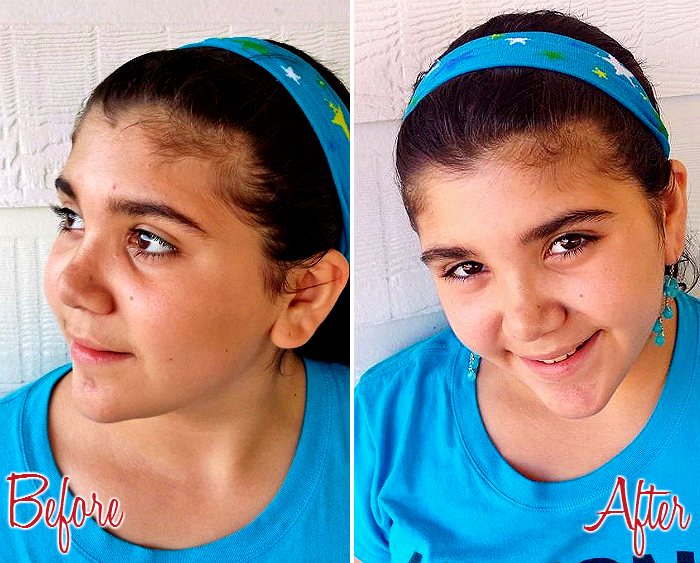 Now, having entered Middle School, as vain as she is, we can no longer ignore her cries for relief. Whether her father likes it or not, part of growing up is also learning proper skincare- and fighting acne flair ups is just another responsibility it was time for her to master. Not only is Sabrina much more conscious of her complexion since starting Middle School, but she had also begun turning down photo opps, and even expressed stress over seeing relatives during the upcoming holidays, which is quite rare for a child who loves to be the center of attention. 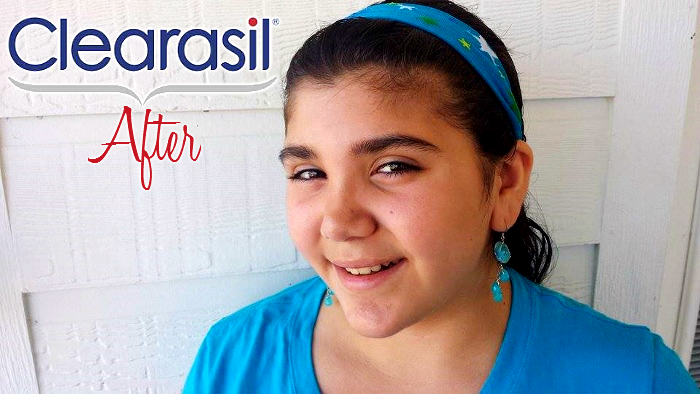 In fact, just over Turkey Day week Sabrina began using Clearasil Hydro-Blast Oil-Free Face Wash and Ultra Rapid Action Daily Gel Wash. Because the new Ultra Rapid Clearasil Gel Wash formula promises visible results in as little as 12 hours, she was eager to try it first. This easy to lather gel works to open up pores so tough acne causing dirt can be drawn out and scrubbed away. It's hard to deny the visible results in just one week of consistent use with these two Clearasil products. Not only do Sabrina's pores seem much more even, but the discoloration of existing blemishes subsided and nearly disappeared within days. Best of all, we've seen no new pimples develop- so our camera hog is back, smiling, in the spotlight again! Check out the full range of Clearasil acne and skincare treatment products and stay up to date with new releases and skincare tips through the brands Facebook and Twitter pages. 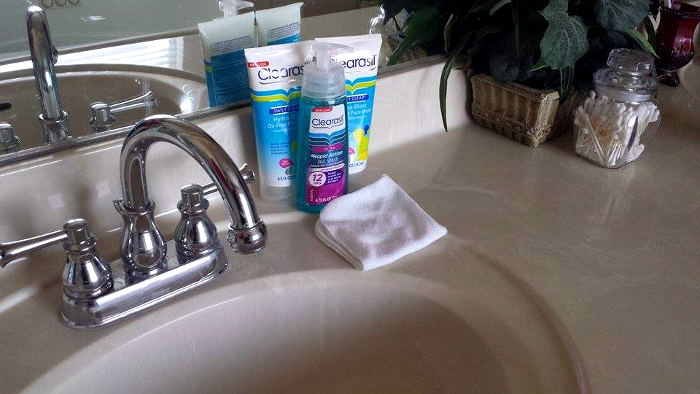 Clearasil products are sold nationwide at retailers such as CVS, Walgreens, Target, Walmart, and more! What Daughter Says: Sometimes, even great skincare routines, need a little extra help. Wow, her skin looks great and yes, I agree its important to learn about good skin care from a young age. Awww...Your daughter is sooo cute! She's at that age. My daughter was just there a few years ago. She still has an occasional flare up, but not as bad as a few years ago. 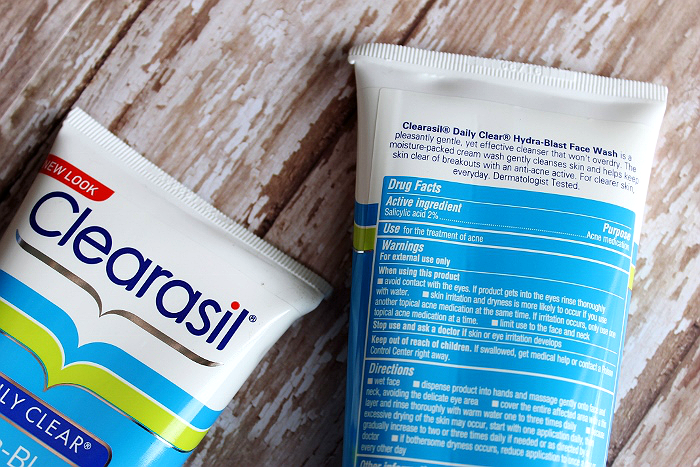 I will still pick up a tube of Clearasil's Ultra Acne Relief for those monthly breakouts! Thanks! Man, this reminds me of my teenage days! 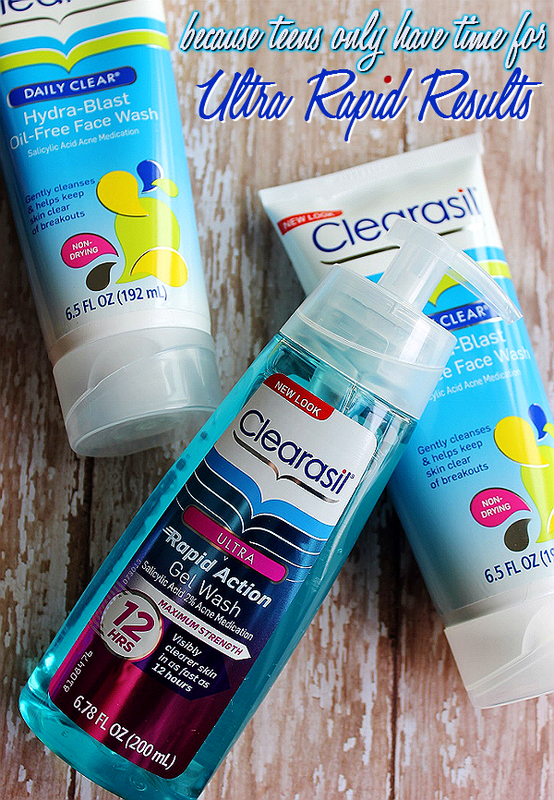 I loved Clearasil products and swore by them! My teen is going through skin issue! I love that this is affordable and within my budget. So glad you got to review these products for your daughter. The teen years are tough! I used this when I was a teen, it saved me! I'll have to remember this, with 3 girls, I'm sure I'll be buying it again soon! Tried and true! Same brand I used to have as well! I think I'll pick some up for my two teen grand kids and use it as an additional stocking stuffer item. It is important at that age to have something that works well and quickly. Looks like it worked well for her! Funny story is that Clearsil (one particular ingredient, benzoyl peroxide) is like the one thing I'm allergic to, which I found out the hard way :-/. I do know it's great for those who can use it, though. Really Elizabeth? I'm terrible at paying attention to ingredients, but I'd imagine that somewhere in their range of products they have formulas without peroxide, interesting! Maybe that's something they should look into! She's so cute. It's great that the Clearasil worked so well for her. I was fortunate that I never had skin issues through my teen years. This is great to know! I've got a 14 year old son who's starting to break out. We'll check it out. Thanks! I remember as a teen every pimple would make me want to just hide until it was gone. Even though I never had bad acne, I was still embarrassed. 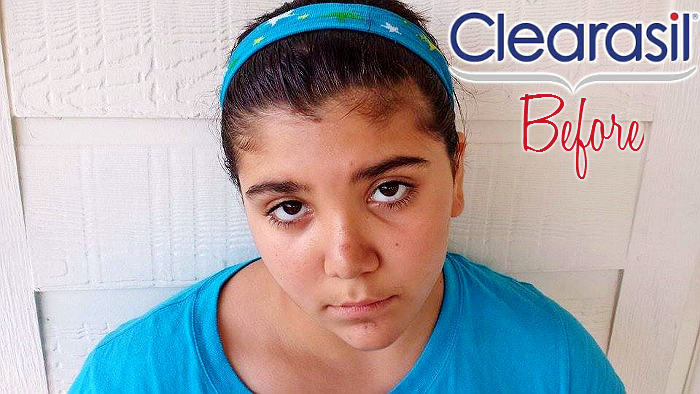 I used Clearasil then and plan to use it with my daughter when she hits her teen years. i definitely need something to treat my pimples and acne problem. I guess i have to try this one since i have tried many products but it was still futile. i hope this one helps me. That`s such a cool post for Ultra Rapid Results this daily face wash will make our skin look`s great.This is the best acne products 2018 I have ever seen I am going to try it.I highly recommend this product! !